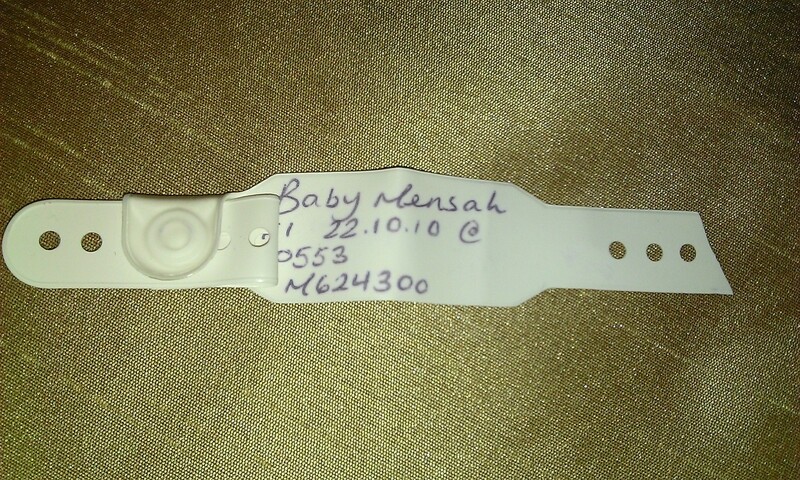 Last week, my former landlady sent me my daughter’s hospital bracelet. The bracelet must have fallen out of the shoe-box stuffed with baby mementoes as they were hastily packed away ready for the removal van. I was so touched by this gesture, I immediately emailed her to thank her for her trouble. It would have been so easy for her to simply throw away such a small and apparently, trivial item (particularly as I had left the country), but instead, she reflected on what this small plastic band, bearing my daughter’s name and date of birth, might mean to me, and took the time and effort to package it and sent it on. Every day is filled with these small, fleeting opportunities of goodwill which have the power to restore someone’s faith in human nature, help someone put their problems in perspective, or let someone know that they are appreciated. Sadly, we are often too busy and pre-occupied with our endless ‘to do’ lists and own needs to act with kindness and compassion to others. This thing is, it’s amazing how a small gesture such as sending a greeting card, or stopping to pass the time with a neighbour can boost your own happiness and wellbeing too. Simply smiling, not only makes those around you happier but has been proven to release endorphins – chemicals which help reduce stress. Here in France the word for kind is ‘gentil‘ and their ‘gentilhomme’ was originally synonymous with ‘nobleman’, this is, a man of wealth and status. As with our ‘gentleman’ it now describes any man of good, courteous conduct. Today, ‘gentle’ behaviour is less about etiquette, but is still essentially about acknowledging others, being courteous and putting aside your own wants and needs for a moment. Far from being a paragon of virtue myself, I have a caustic tongue to rival Anne Robinson when I’m riled and admit to a streak of schadenfreude, especially on ski-ing holidays despite being a novice myself (admit it, unless there’s any real damage it’s pretty hilarious watching people fall over). As such, I know that there are frequent times when I should, or could, have acted more ‘gently’ towards others – especially now that I need to show a good example to my DD (‘darling daughter’ to the uninitiated). I have no doubt that every ungenerous word or sarcastic eyebrow raised is being processed by that cute little brain, only to be regurgitated, usually at an inappropriate moment. In my defence, teaching the importance of kindness to a toddler can be a challenge, especially once your little cherub begins to realise that they have desires and ideas of their own. Deprive him/ her of that extra biscuit and you are branded a ‘meanie’, and why on earth would any sane two year old want to relinquish the biggest, noisiest percussion instrument in the playgroup when they‘re having so much fun? Also, how can you teach your two year old to be forgiving, when some great oik twice their size pushes them for no apparent reason other than to get a reaction? On these occasions its okay to say ‘stop that’ very loudly , tell a grown up or walk away – bad behaviour should never be tolerated. The general principal is this: life can be unfair, and bullies do need putting in their place, but on the whole, you’ll not only rub along more easily with others if you’re kind, life will just feel better if you’re polite, treat people the way you expect to be treated, and act without prejudice. Above all, the joy and gratitude generated by seemingly small acts of kindness should never be underestimated – as I can testify by the surprise return of my precious little plastic bracelet. What a great thing your landlord did by saving and sending your daughter’s bracelet to you, especially since you’d moved out of the country. I like the summation to of this post, treating others as we want to be treated. I think it’s more difficult to do when the other person clearly doesn’t treat you how you want to be treated. However, kindness does feel good and can prove to be the bigger act in the face of bullying behavior which sometimes we just have to walk away from. Thanks for reading and commenting Taiwanda. Yes it was a lovely gesture and a helpful reminder to take the time to do the small things, as they just might make someone’s day. Thank you Kate. I was tearstruck reading this.